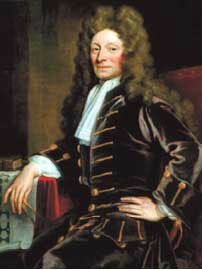 On a damp November day in 1660, 12 London University dons listened in rapt attention as Christopher Wren, a young astronomer, lectured about the moon. Elated after the lecture, they decided to gather every week to talk about science. Wren was also roped in and the informal gathering coalesced into a society, ‘a Colledge for the Promoting of Physico-Mathematicall Experiment-all Learning’. Today it is the longest-lived scientific society in the world and this collection of essays under review is a fitting tribute to the society. The volume’s contributors include scientists, science writers, novelists and and social scientists like Georgina Ferry. And it’s not a simple adulatory account. Ferry notes it took 285 years for the society to appoint its first woman member. Novelist Margaret Atwood suggests the fellows may have inspired the archetype of the mad scientist. She traces its origins to Swift’s Gulliver’s Travels, in which the researchers of the Grand Academy of Lagado engage in hare-brained quests to, among other things, extract sunbeams from cucumbers. This volume also impresses by taking note of lesser known figures. There is John Lubbock, a banker by profession, but also a distinguished botanist, astronom-er, expert on the social behaviour of insects, politician and antiquarian. Among much else, he coined the terms palaeolithic, mesolithic and neolithic in 1865. There is just one little grouse: the volume is a little too heavy on history. Over almost 350 years, the Royal Society has remained profoundly international retaining links with nearly 100 scientific institutions all over the world. It would have been worthwhile to investigate how the network has been created and nurtured, and what are the power relations—if any—between its different links.